Sarah Brothers is a Ph.D candidate in the sociology department. Her research explores how health related knowledges and practices by injection drug users impact disease transmission and overdose. Her ISPS research examines how persons who inject drugs, particularly secondary syringe exchangers, disseminate preventative knowledge on infection and overdose in the New Haven CT area. 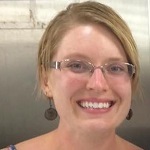 Sarah is a recipient of the NSF Graduate Research Fellowship. She holds a B.A. with highest distinction from UC Berkeley. 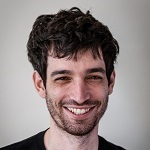 Michael Cohen is a PhD student in health policy and management, with a concentration in economics. His research interests are focused on understanding access to health care services for Medicaid beneficiaries, as well as examining how market characteristics impact the quality of care for older adults. He received a master’s degree in health policy and management from the Harvard T.H. Chan School of Public Health, and his BA from Washington University in St. Louis. Alex DiBranco is a Sociology Ph.D. candidate at Yale. Her research focuses on right-wing movements in the United States, nonprofit organizations, religion, and gender. In her dissertation, she looks at the development of the U.S. New Right network from 1971 to 1997; in particular, how serial entrepreneurs and conservative foundations shape and sustain this infrastructure toward long-term impact. She also analyzes the role of misogyny from historical to contemporary mobilizations. Alex was a visiting student researcher at the Center for Right-Wing Studies at UC Berkeley, from 2016-2017. Stephen Feagin is a PhD student in the Political Science Department. His research focuses on the evolution of state surveillance in the United States, as well as public perceptions and attitudes towards surveillance and privacy. 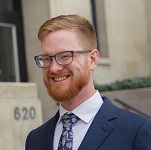 Stephen’s dissertation specifically examines public response to surveillance revelations, particularly following the Watergate scandal and the Edward Snowden leaks. He is interested more broadly in state power and its abuses, and democratic norms and accountability. Matthew H. Graham is a doctoral student in Yale’s political science department. His research focuses on information in politics, polarization, and mass preferences. Prior to doctoral work, he was a senior policy analyst at the Bipartisan Policy Center. Tina Law is a doctoral student in sociology at Yale. Her research focuses on understanding the role of neighborhoods, communities, and social networks in American urban inequality through quantitative methods. She is currently exploring the effects of the sharing economy on neighborhood social well-being and long-term patterns of inequality in U.S. cities using a “big data” approach. Tina is a National Science Foundation Graduate Research Fellow. Before coming to Yale, she evaluated national policies and programs addressing racial equity, education, and youth development at Social Policy Research Associates and worked to develop the research capacity of local non-profits at The Building Movement Project. 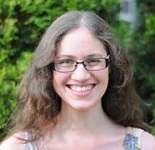 Ro’ee Levy is a Ph.D. candidate in the economics department at Yale University. His research focuses on political economy and environmental economics. He is currently conducting field experiments studying the effect of social media news consumption on political opinions and behavior. Ro’ee holds two Master’s degrees from Tel Aviv University – in economics and political science. 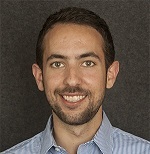 Prior to his PhD studies, Ro’ee served as a Research Fellow at the Israel Tax Authority. 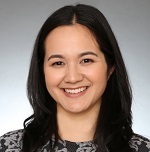 Renée Mehra is a doctoral candidate in the Department of Chronic Disease Epidemiology at the Yale School of Public Health. With an interest in the social and psychosocial determinants of health, Renée’s research focuses on understanding the pathways between structural stigma and adverse birth outcomes. As an ISPS Graduate Policy Fellow, Renée will use computer simulation modeling to explore: (1) how structural stigma affects population-level differences in birth outcomes by race, and (2) simulate the implementation of policies to reduce racial disparities in adverse birth outcomes. 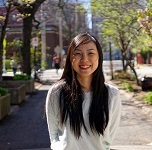 Renée is a recipient of the Herman Fellowship and the Wilbur G. Downs International Health Student Travel Fellowship. Her educational background includes a MSc in Epidemiology from the London School of Hygiene and Tropical Medicine, a BSc (Honours) in Biochemistry from The University of Queensland, and a BSc in Life Sciences from The Australian National University. Katie Oltman is a Social Psychology Ph.D student. Katie researches “entitativity”, the perception of the self or others as being part of a cohesive group. Her work explores which factors of a social group predict discrimination, and how manipulating perceptions of cohesion can be used to benefit disadvantaged groups. In addition to her dissertation work, Katie works with Dr. Nearon and the Office for Graduate Student Development & Diversity to provide empirical solutions to problems of inequality at Yale. Katie previously attended the University of Nebraska, where she majored in Psychology and English, and the University of Kingston (London) where she studied creative writing. Kyle Peyton is working on a PhD in Political Science and a MA in Statistics. His research focuses on how interactions among institutions, social norms and behavior explain political outcomes. He is especially interested in the design and analysis of experiments for social science research and organizes the ISPS Experiments Workshop. 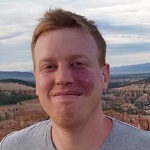 Before coming to Yale, Kyle worked on public policy research as a Research Fellow at the Melbourne Institute of Applied Economics and Social Research at the University of Melbourne. He has an undergraduate degree in economics from Loyola University Chicago and is a dual citizen of the United States and Australia. 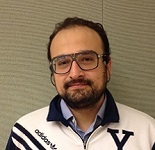 Gerardo Ruiz-Sanchez is a Ph.D. candidate in the Economics Department at Yale. His research focuses on the industrial organization of health care markets in the United States. Before coming to Yale he spent 2 years working for a private consulting firm, studied a masters in Economic Theory at ITAM and received a B.Sc. in applied mathematics from the Instituto Tecnológico Autónomo de México (ITAM). Roseanna Sommers is a J.D./Ph.D. candidate in psychology and law at Yale. Her work uses methods from experimental psychology to understand and critique legal doctrines. She demonstrates how the law misunderstands people and people misunderstand the law. Roseanna earned her B.A. in Psychology from Swarthmore College. Before coming to Yale she was a pre-doctoral research fellow in the Department of Bioethics at the National Institutes of Health. 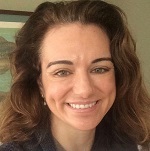 She hopes to one day teach at a law school, injecting psychological realism into the standard legal curriculum and encouraging future lawyers and policymakers to approach their work with a behavioral lens.